Hagia Sophia, Basilica Cistern, Blue Mosque, Hippodrome, Grand Bazaar, Topkapi Palace. Spice Market, Bosphorus Cruise, Dolmabahce Palace, Istiklal Street, Galata Tower. Suleymaniye Mosque, Chora Church, Fener-Balat Districts, Pierre Lotti Panorama Hill by Cable Car. Visit a typical Istanbul family household for a home-cooked meal, and then explore the backstreets of Sultanahmet with a guide, meeting locals and experiencing popular Turkish pastimes. A fascinating insight into Turkish hospitality and culture, the 4-hour evening tour is the perfect experience if you want to discover Istanbul as the locals know it. Feast on a 3-course meal, explore off-the-beaten-path streets, and enjoy a football or backgammon game. There’s even an option to try smoking a shisha pipe! If you want to pack Istanbul’s highlights into one fascinating day, this full-day tour, including a Bosphorus cruise, obliges. With an expert guide, skip the main lines at the Hagia Sophia and Basilica Cistern, and make an early visit to the Blue Mosque. See the Hippodrome and Topkapi Palace, and after a Turkish lunch, explore the Grand Bazaar and Spice Bazaar. Then, after your scenic Bosphorus cruise, relax at a rooftop cafe near Galata Tower, ogling the stunning views. Enjoy personalized attention on this small-group tour, limited to 15 people. Tick through Turkey’s classic sights on this spellbinding 7-day tour that starts and finishes in Istanbul. Traveling by air-conditioned coach with an expert guide, explore the emotive World War I battle sites of Gallipoli, the breathtaking Greco-Roman ruins of Ephesus, and the fairy-tale landscapes of Cappadocia. 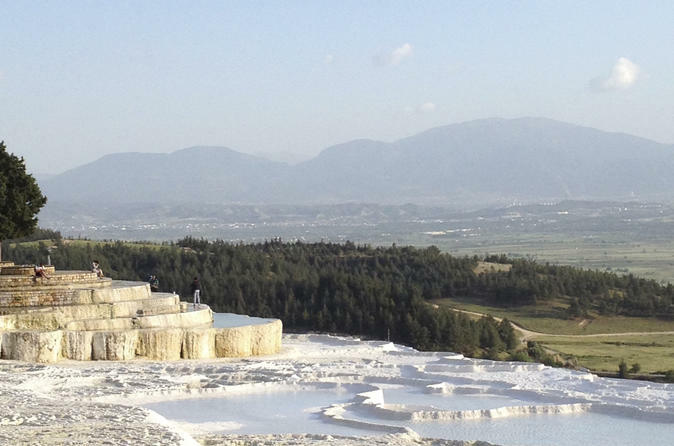 In-between, ogle the white rock terraces of Pamukkale, swim in the hot springs at Hierapolis, view the ruins of Troy and much, much more. The tour includes six nights’ accommodation plus breakfast and dinner on each day. 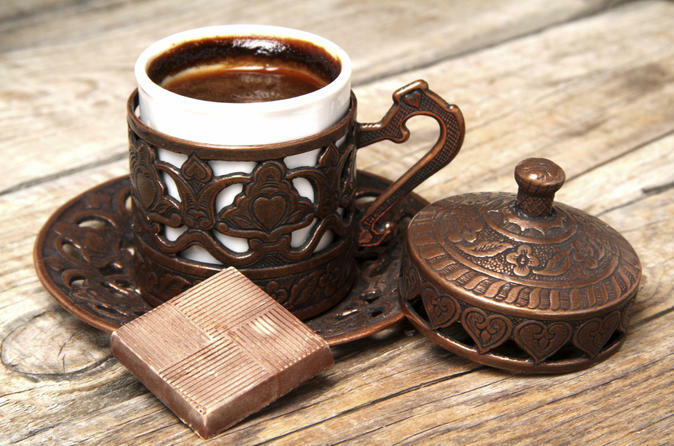 Perfect the art of pouring a delicious cup of Turkish coffee on a 3.5-hour coffee tour that includes a coffee-making class! Practice preparation techniques at a local coffee shop and stop at several venues for coffee tastings. You’ll learn about the long tradition of making Turkey’s national drink as you visit the spice bazaar, Ottoman coffee storage sites and some of the oldest coffee houses in Istanbul. Enjoy personal attention from your guide on this small-group tour, limited to 15 coffee lovers. 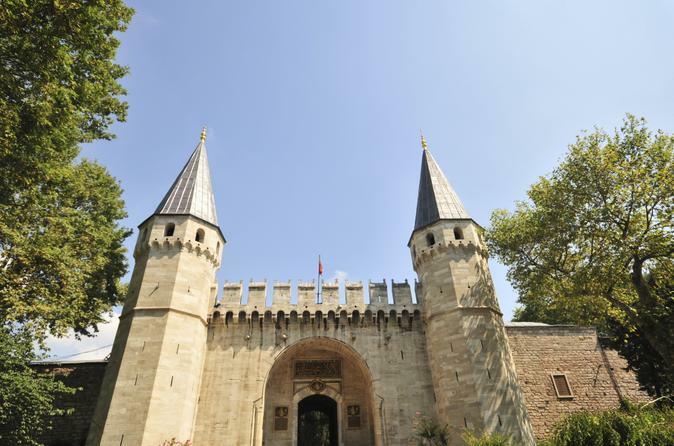 Open doors to rooms rarely seen by most visitors during a small-group, skip-the-line tour of Topkapi Palace in Istanbul. Typical tours provide the same tour day in and day out. However, during this visit to the palace, you will not only be able to bypass the lengthy entrance lines, you'll follow an adaptive route that visits the latest openings and includes access to the Imperial Harem. You'll also enjoy an amazing recount of the palace’s history during this story-filled adventure fit for a sultan. Numbers limited to 15, ensuring a small-group experience. Experience the two faces of Istanbul, the world’s only city situated on two continents, on this enjoyable full-day city tour. 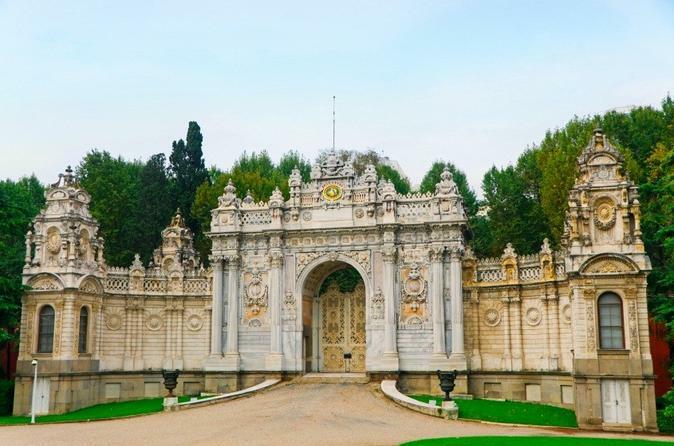 Traveling in a Mercedes minivan, head for the Spice Bazaar to peruse its colorful stalls, and tour the sumptuous Dolmabahçe Palace, the last residence of the Ottoman emperors. 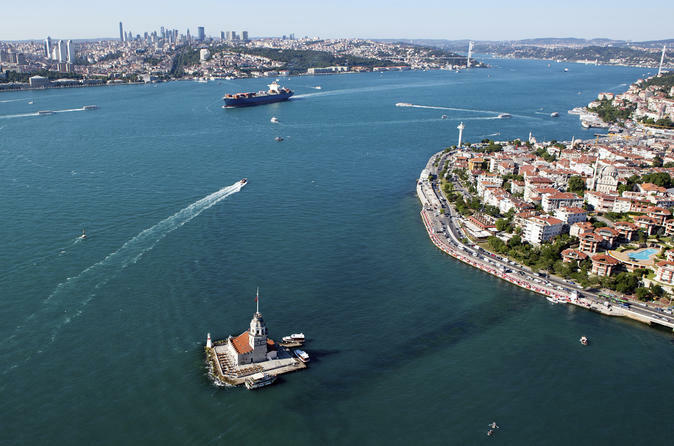 Drift by Istanbul’s sight-crammed European and Asian shores on a Bosphorus cruise, and asborb panoramic views of both sides of the city from the Bosphorus Bridge. With a maximum of 12 people, get personalized attention from your guide on this small-group tour. 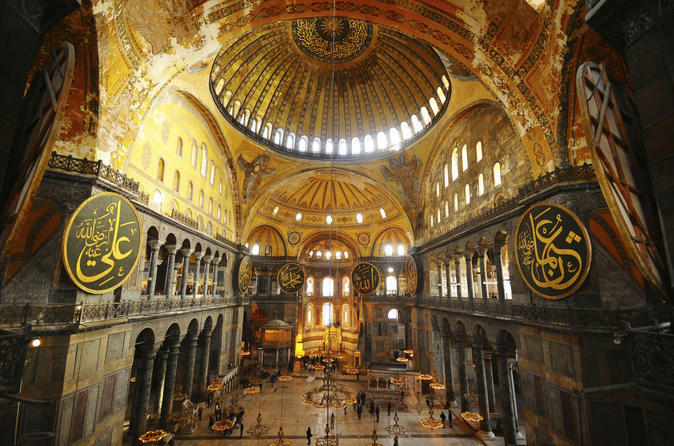 Rewind to Istanbul’s days as Constantinople on an 8-hour tour of the city’s Byzantine churches and monasteries. 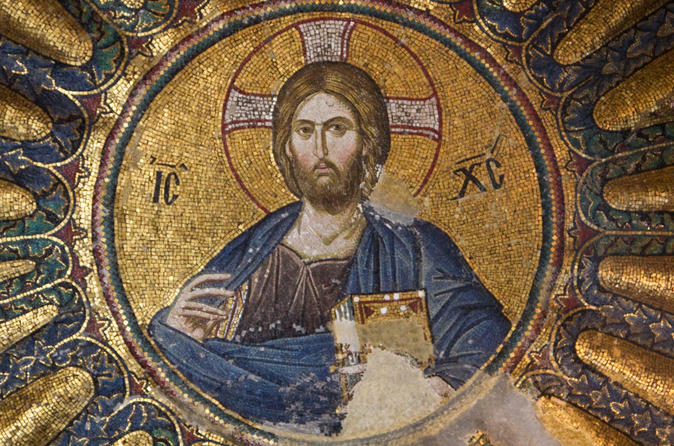 With a guide, explore the Christian sanctuaries built during the Byzantine Empire. 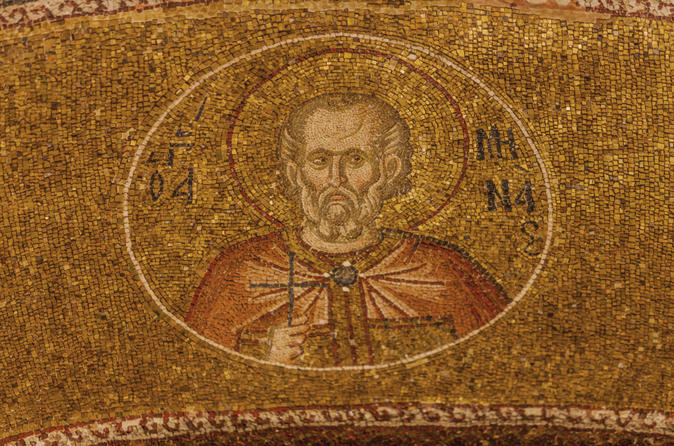 See the glittering mosaics and frescoes of Chora Church — now Kariye Museum — and view the church-turned-mosque sites of Pantocrator and Pammakaristos. Explore palatial ruins and more as your guide brings them to life with historical commentary. Lunch at a restaurant is included and numbers are limited to 15 for a personal experience. 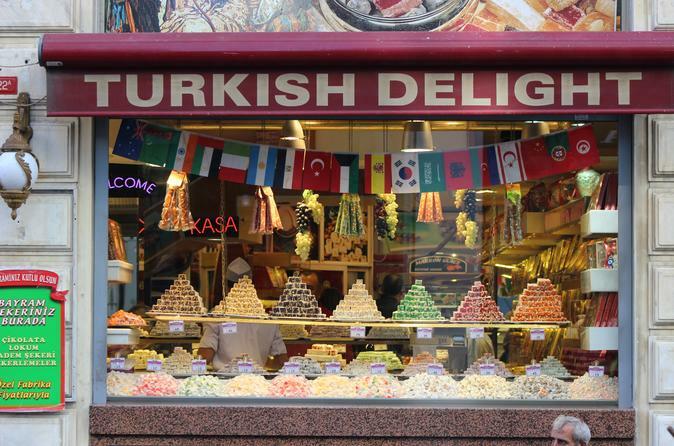 Treat your palate to authentic Turkish delicacies on this 3-hour Istanbul evening food tour. With a food-loving guide, delve into sidestreets and hidden food haunts to eat and drink like the locals do. Enjoy mouthwatering 'borek' (flaky pastry), down 'raki' (aniseed liquor), sample moreish street food and visit a 'meyhane' (tavern) to nibble on classic mezes with the early evening crowds. Learn about Istanbul’s culinary history and fads, and enjoy in-depth attention from a guide on this small-group tour, limited to 12 people. Gain insight into on-trend Turkish art on a 3.5-hour walking tour around Istanbul’s contemporary galleries as well as the Istanbul Museum of Modern Art. With an expert guide, passionate about modern Turkish art from the 19th century onward, explore popular galleries around Istiklal Street as well as avant-garde exhibitions around the burgeoning artistic neighborhoods of Tophane and Karaköy in Beyoğlu. 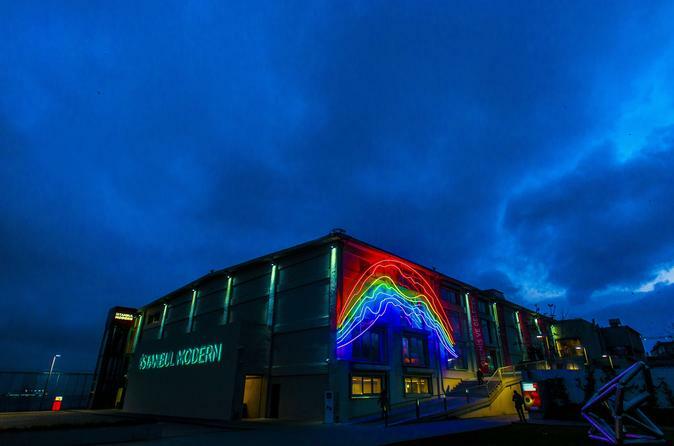 Finish with a visit to the Istanbul Modern Art Museum to admire more of the city’s thought-provoking artwork. This tour operates with a maximum of 15 people, ensuring you’ll enjoy a small-group experience with your expert guide. Admire the best of Byzantine and Ottoman Istanbul on this full-day tour of this endlessly absorbing city. 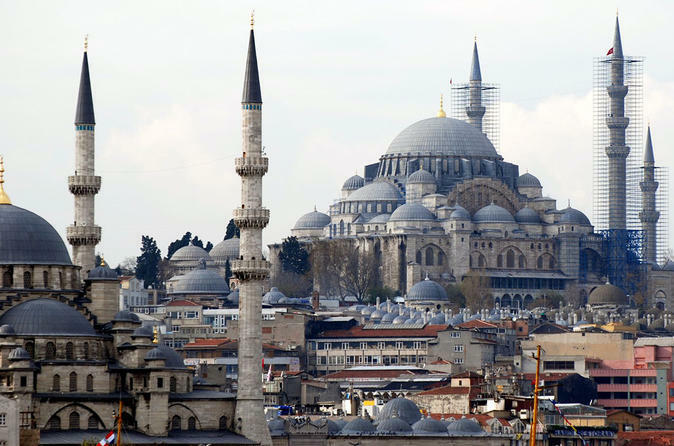 Traveling in a luxury minivan with a knowledgeable guide, check out five top Istanbul attractions that recall these two all-powerful empires. Visit the extraordinary Hagia Sophia and beautiful Blue Mosque, marvel at the treasures of the Topkapi Palace, once the court of Ottoman sultans, and explore the atmospheric Grand Bazaar, whose roots date to the 15th century. With numbers limited to 12, this small-group tour ensures you get in-depth attention from your guide. 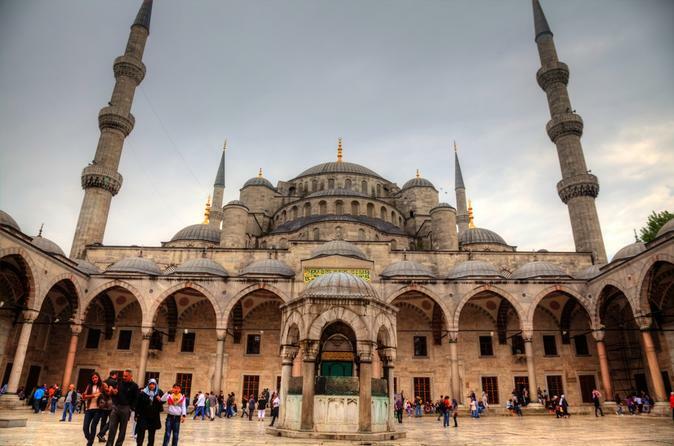 Embark on a 10-Day Guided Private Tour of Turkey from Istanbul. 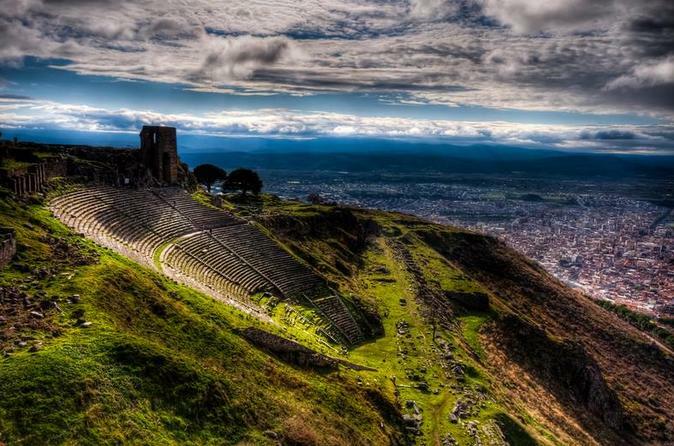 Visit some of the top archaeological and cultural highlights of Turkey. 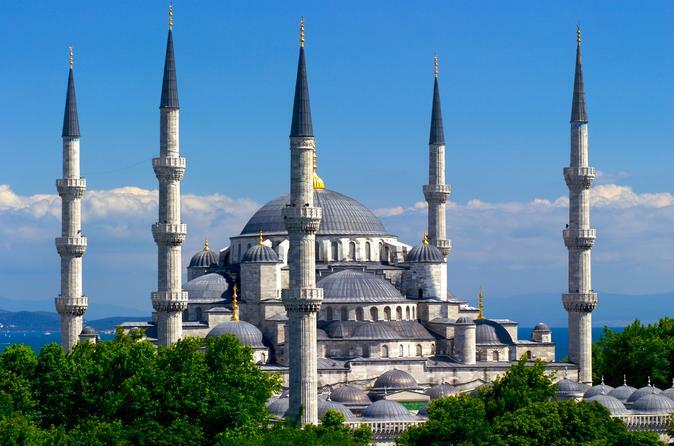 Visit Istanbul, Cappadocia, Konya, Pamukkale (Hierapolis), Aphrodisisas, Kusadasi, Ephesus, Pergamum, Troy, Canakkale and Gallipoli on this 10-day trip. Experience high quality tour services with experienced tour guides with fluent English, latest model, air-conditioned and fully insured tour vehicles, superior hotel accommodations, delicious local cuisines and domestic flight. Experience the great history, culture, friendly people, delicious cuisine and splendid natural beauty. Make the most of your time in Istanbul with on-the-go 3G Internet access via the Mobile Hotspot, a wireless portable router device for smartphones, tablets and laptops. With coverage that lasts for 3, 5, 7 or 14 days, the hotspot allows you to surf the net without roaming charges or the hassle of finding free Wi-Fi zones. The device is delivered to your Istanbul hotel or airport and collected when your coverage ends. 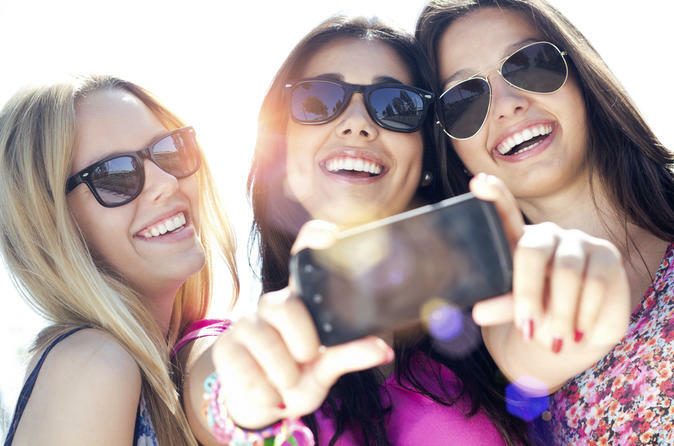 It’s the ideal way to join social networks, live chat and check out Istanbul online. 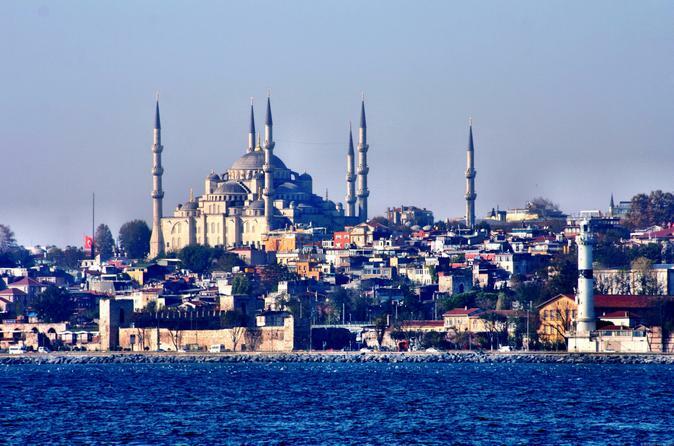 Take an Istanbul sightseeing tour with a difference: one that visits the beautiful Süleymaniye Mosque instead of the Blue Mosque, plus three other iconic sights. With a knowledgeable guide, absorb the calm beauty of the Süleymaniye, Istanbul’s largest mosque, which was built for Süleyman I in the 16th century. Plus, visit the underground Basilica Cistern, explore the Grand Bazaar, and marvel at the treasures, courtyards and harem of the Topkapi Palace, once home to Ottoman sultans. Your full-day tour includes a tasty 3-course Turkish lunch at a hotel midway through. 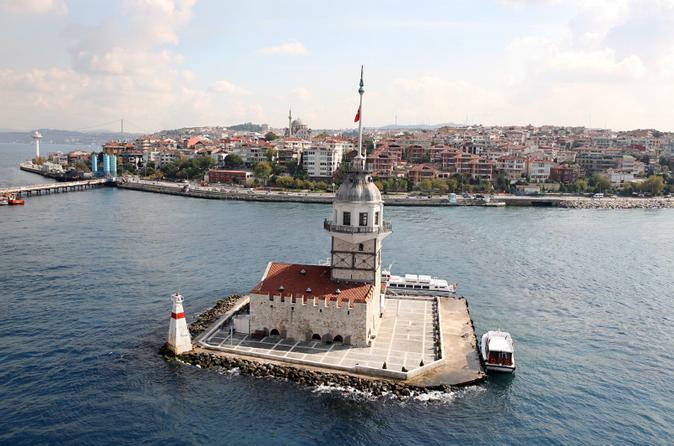 Delve into Üsküdar and Kadıköy, two of Istanbul’s alluring Asian-side neighborhoods on an 8-hour tour. 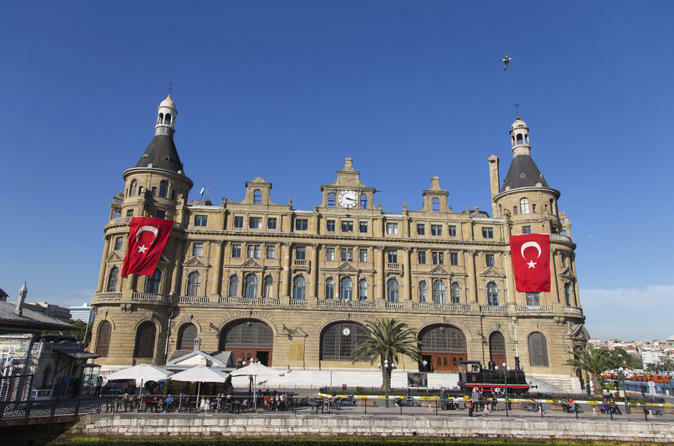 Catch a Marmaray train under the Bosphorus to visit some of the Ottoman mosques of history-steeped Üsküdar including Semsi Pasa, Mihrimah Sultan and Yeni Valide. After a 3-course lunch, explore the churches and highlights of buzzing Kadıköy. Stroll along the charming waterside, visit the fish market and fashionable Moda district, and then finish with a 20-minute Bosphorus boat ride. Numbers are limited to 15 on this small-group tour, ensuring personalized attention. 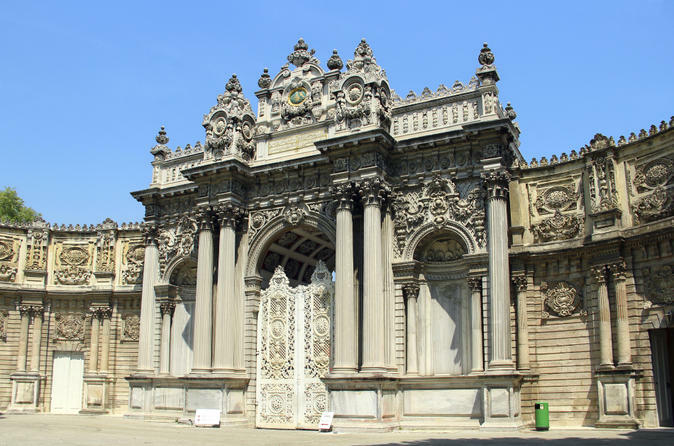 Discover Istanbul’s Imperial highlights on a full-day, small-group city tour by luxurious Mercedes minivan! Travel in style around central Istanbul while learning about its Imperial days as the city of Constantinople under Roman, Byzantine, Latin and Ottoman rule from an expert guide. Sit down to enjoy a 4-course Turkish meal in the renowned Matbah restaurant, and enjoy in-depth tours of Istanbul Archaeology Museum, Topkapi Palace (and the harem rooms), Chora Church and Hagia Sophia. Numbers are limited to eight on this small-group tour, ensuring personalized attention. 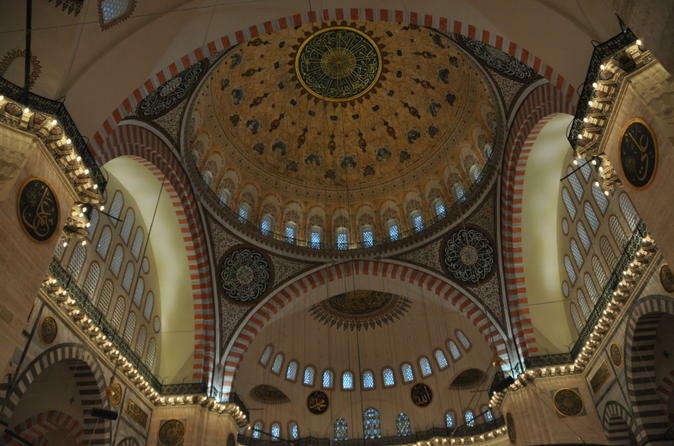 Experience the best of Ottoman Istanbul on this full-day private tour. Accompanied by an expert private guide, visit top Istanbul attractions including the Topkapi Palace, Blue Mosque and captivating Grand Bazaar. 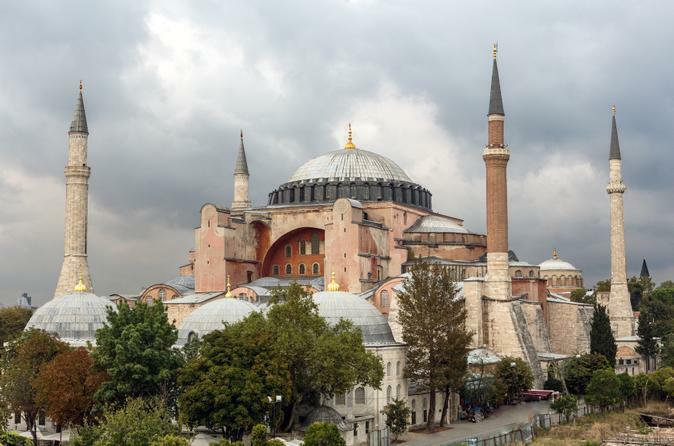 Also, visit the spectacular Hagia Sophia during its regular opening hours, or upgrade to enjoy a crowd-free visit either before or after its official opening times. Your tour also includes lunch at a traditional restaurant, as well as personalized attention from your private guide. A very special way to witness the highlights of old, Ottoman Istanbul! 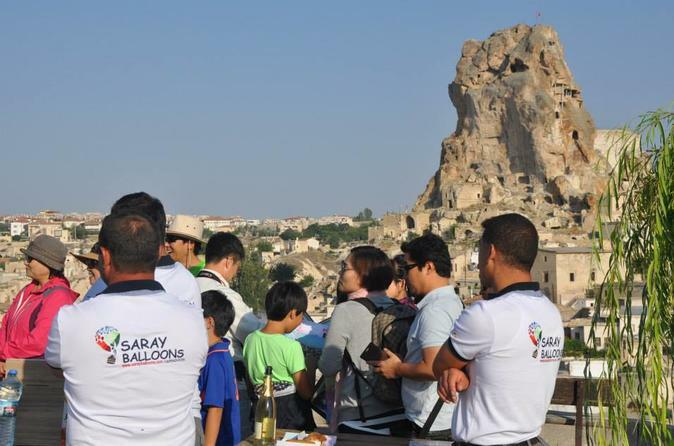 2-day Cappadocia Turkey tour by plane for both Northern and Southern parts of Cappadocia, with an optional choice of Hot Air Balloon, as well as with English and Spanish speaking guides, lunch, transportation and all entrance fees. 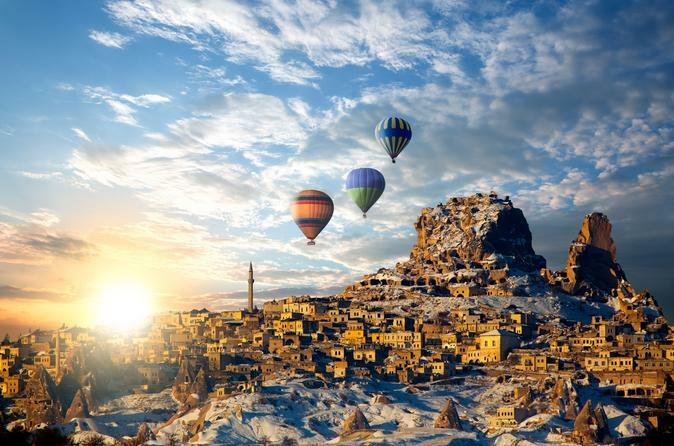 Cappadocia tours from Istanbul includes airfares, excellent 2-day tour and a hot-air balloon ride plus accommodation. Discover Istanbul on land, water and a plate on this exciting Super Saver that combines two best-selling Istanbul tours at a discounted price. 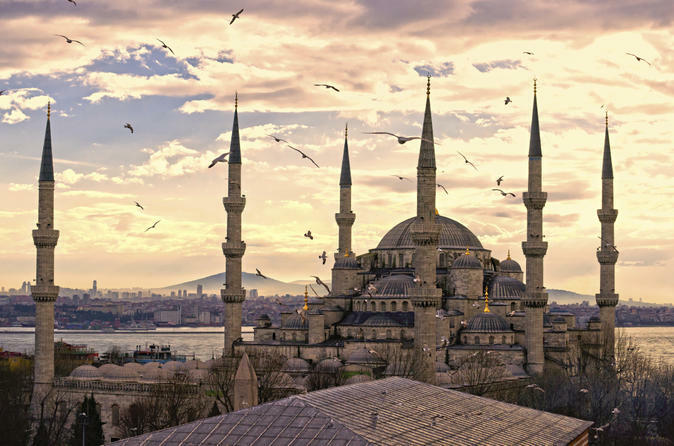 Enjoy a full-day Istanbul sightseeing tour that includes visits to the Spice Bazaar, Dolmabahçe Palace and Rüstem Pasha Mosque, and a tasty 3-course lunch and cruise on the Golden Horn and Bosphorus. 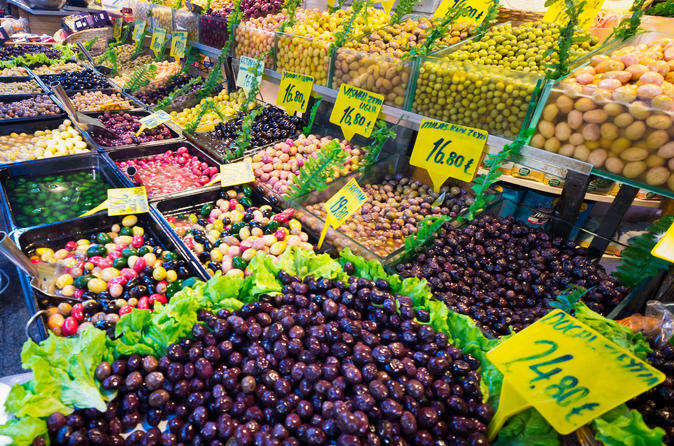 Plus, dip into Istanbul’s culinary scene on a guided evening food tour. Visit hidden food stops, sample local delicacies, grill kebabs at a barbecue joint, and savor mezes in a lively 'meyhane' (tavern). A great afternoon tour to the history of two Empires ''Roman and Byzantine'' visiting the Hippodrome, Hagia Sophia, Basilica Cistern on a small group. Perfect choice for every Istanbul visitor. 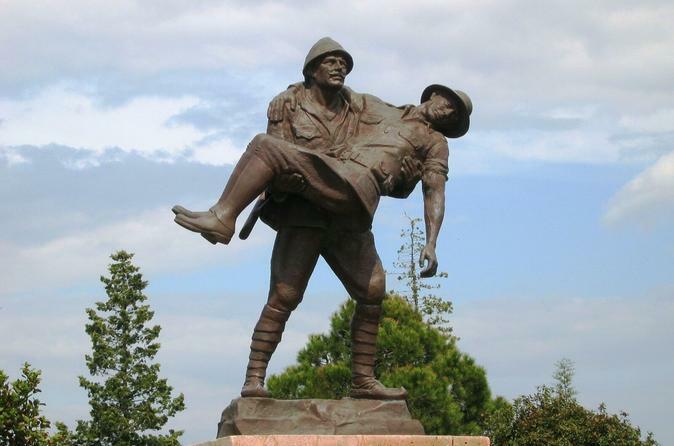 2 days 1 night Gallipoli & Troy Tour offers a full package from Istanbul hotel door to back to Istanbul hotel door including a visit to Gallipoli Battlefields and Troy Ancient Site. You will visit all landing beaches, Lone Pine (Australian Memorial), Chunuk Bair (New Zealand Memorial), 57. Regiment (Turkish Memorial) . You will see intact tunnels and trenches from WW1 and guide will explain the battle from both Turkish and Allied perspective. A visit to Homer's Troy will be included in the next day before you depart for your hotel in Istanbul. 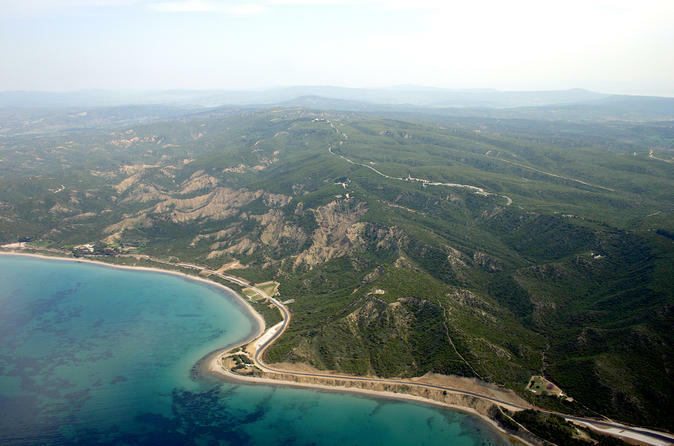 Both days lunch will be provided as well as breakfast on the way from Istanbul to Gallipoli Peninsula. Discover Istanbul’s Asian-side cuisine and sweet treats on this 4-hour food tour with a private guide. Ride a ferry over the Bosphorus, roam the Asian-side food markets, and sample assorted local staples at the hidden eateries of Kadıköy as you learn about Turkey’s culinary heritage. Sample meatballs and local cheese; and try mouth-watering treats such as a cream-filled baklava and more. Finally, enjoy a Turkish coffee before catching the return ferry. Enjoy a more intimate experience and personalized attention from your guide on this private tour. 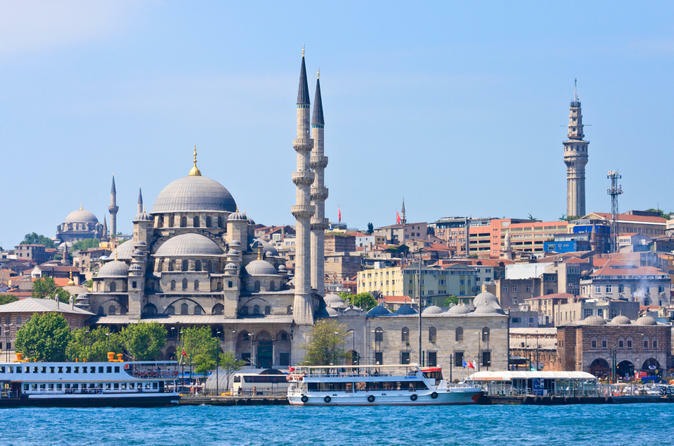 Sightsee in Istanbul and save the pennies, too, on this exciting Super Saver that combines a market visit and cruise with an evening folklore show and dinner! 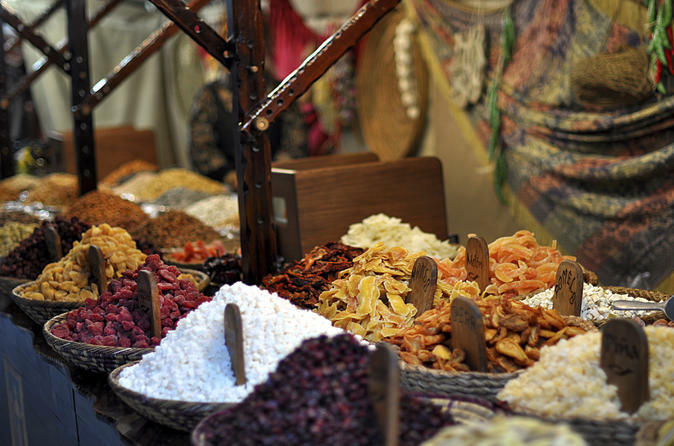 Choose from two start times to suit your schedule, and then explore the Egyptian Spice Market with an expert local guide. Browse the stalls, meet friendly traders and then see the sights of the Bosphorus Strait on a cruise. In the evening, enjoy a 4-course dinner and drinks while watching an Anatolian folklore and belly-dancing show. One of our most popular Turkey tours guided exclusively in English. With daily departures all year around. Tour includes visiting the highlights of western Anatolia such as Gallipoli Battlefields, Troy Ancient City, Pergamon Acropolis, Pamukkale and Hierapolis, Ephesus and House of Virgin Mary with flight from Izmir to Istanbul. See Istanbul in the most delicious way: through your taste buds. Traverse the stunning, hilly city on this 5-hour guided tour, eating your way through street food stalls and bazaars. Take a stroll through historic and colorful Kadikoy Market, converse with fishermen on the Galata Bridge, eat some of the best baklava this side of the Bosphorus and then walk it all off by strolling the streets as your guide shares evocative historical details on this eye- and taste-bud-pleasing metropolis. 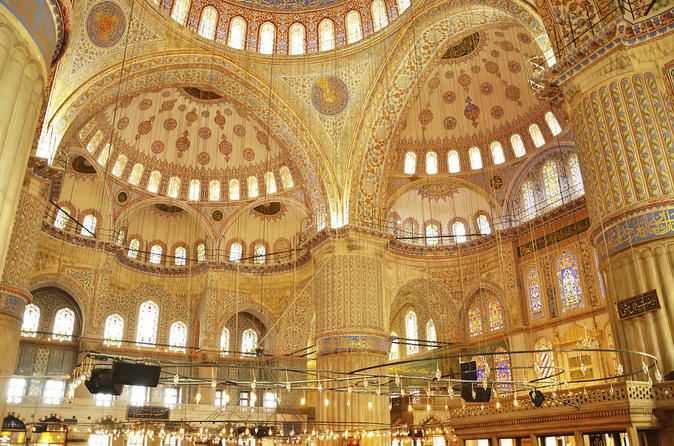 Experience the scope of Istanbul with this full-day, small-group tour. 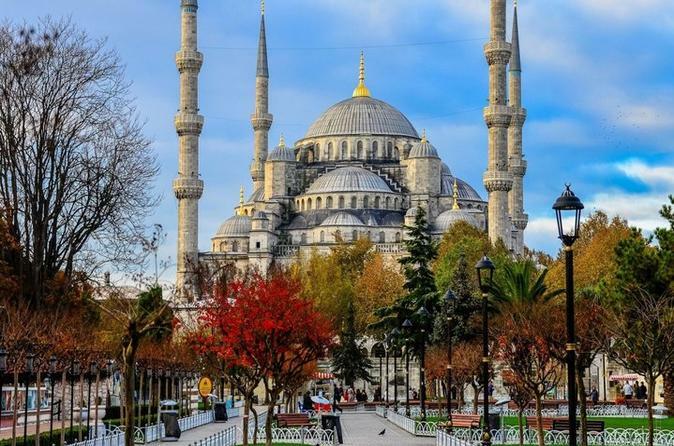 Led by a local guide, explore the main attractions of the city, including Pierre Loti Hill, Rustem Pasa Mosque, Hagia Sophia, the Basilica Cistern, the Blue Mosque, and the Hippodrome. 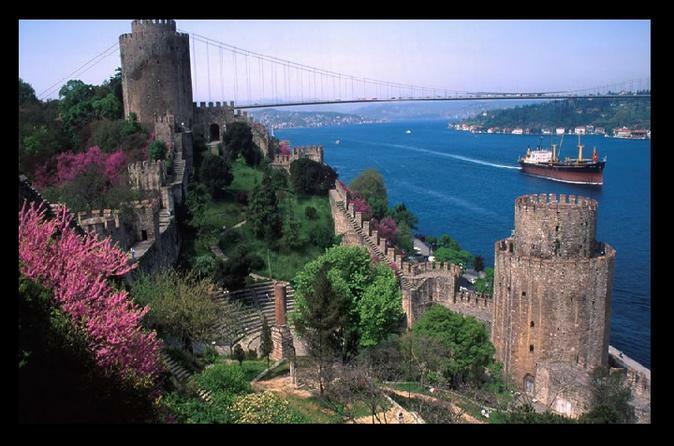 Ride up a cable car and cruise on the Bosphorus for the full Istanbul experience. Transfer to and from your hotel is available (please take a look at inclusions and exclusions for the transfer details). 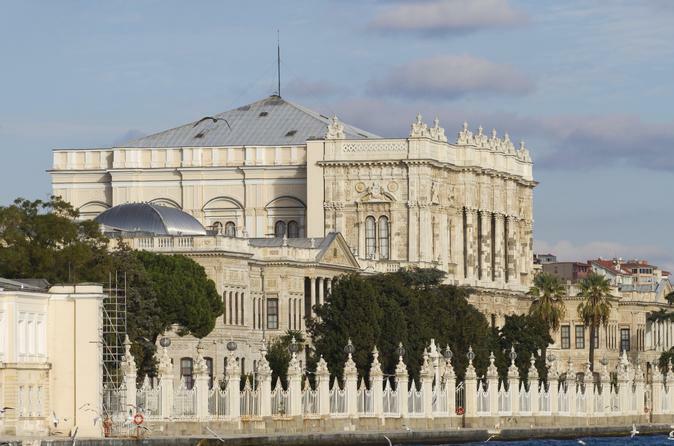 See Turkey like a local on this historic off-the-beaten-path tour of the real Istanbul. 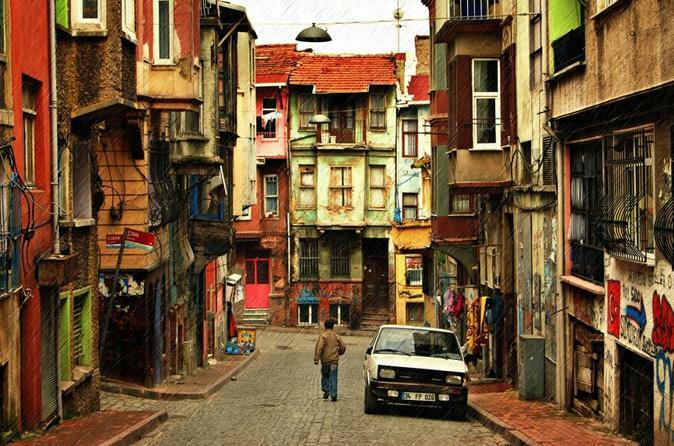 Go where the locals go, and experience life in the back streets of Istanbul. Wind through the hills of Fener, home to the Greek Orthodox Patriarchate Church and colorful Greek and Ottoman Houses. Enjoy this most generous food tour and see sites that few tourists get an opportunity to see. 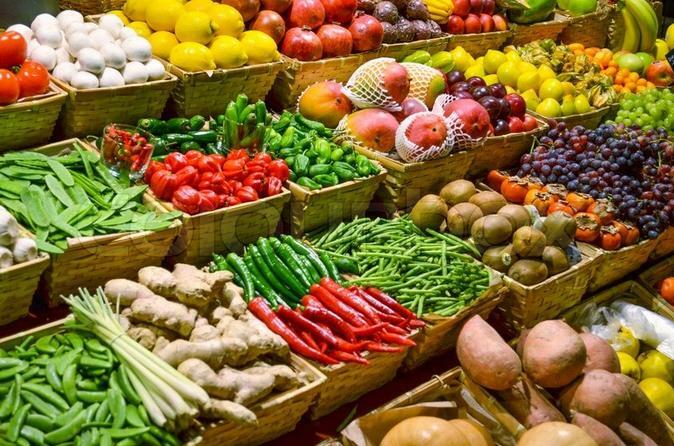 You will tour multiple restaurants and market stalls, and learn about the products from the business owners. 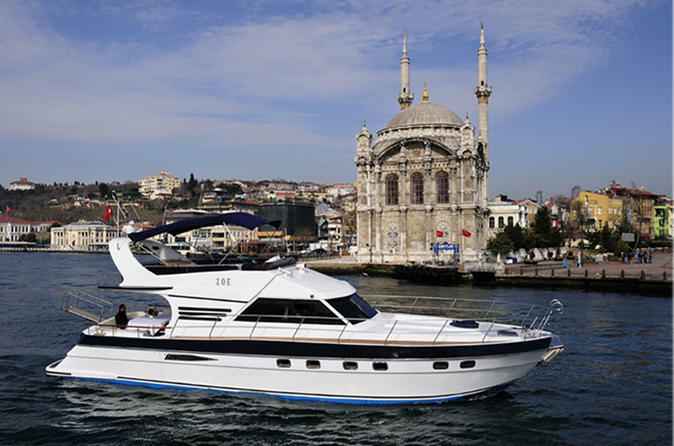 You will also take a cruise on the Bosphorus. Breakfast and lunch are included. The Greek mythology associates the founding of the city with Orestes, son of king Agamemnon of Homer’s Iliad. The city was (re)founded in an eponymous way by the Roman Emperor Hadrian, hence the origin of its name today. 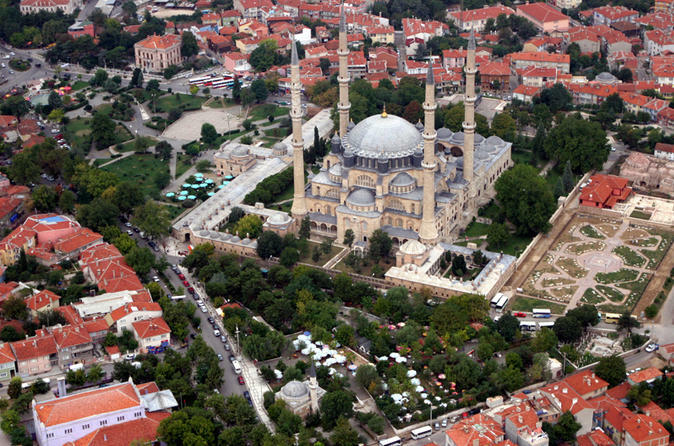 Strategically located, Edirne has been in the middle of no less than 16 wars or sieges throughout its history, before it was conquered by the Ottoman Sultan Murad I in mid-thirteenth century. Let your taste buds do the exploring during this 4-hour food and wine class in Istanbul. 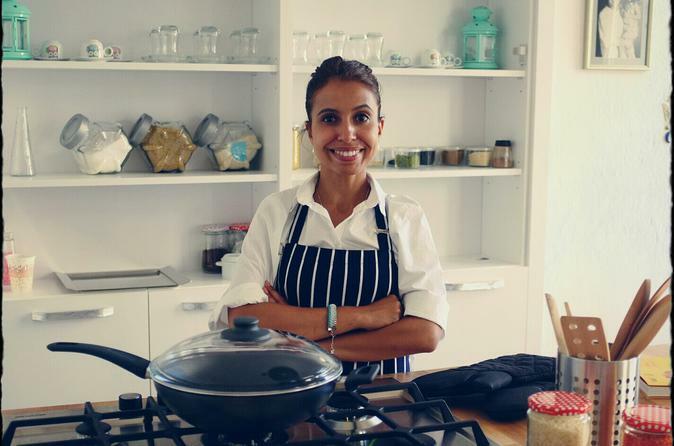 Learn to prepare delicious traditional dishes from a professional chef, starting with appetizers and working your way through a main course and dessert. 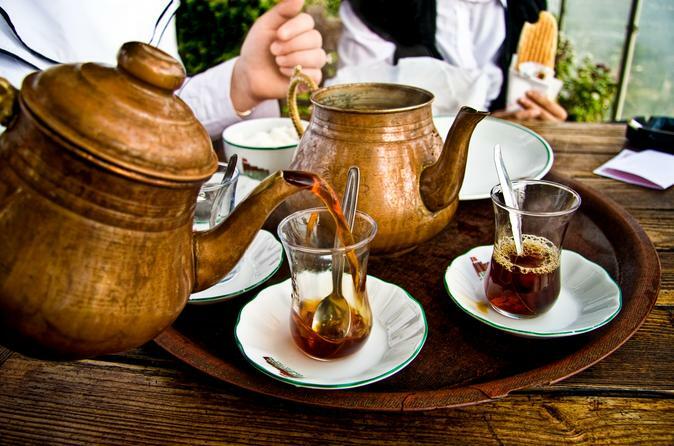 Along the way, enjoy coffee and tea as well as complimentary tastings of local wines and raki, a traditional Turkish liquor. After a 3-hour lesson, sit down to feast on all your hard work.